Royal Stranger is an exclusive furniture brand determined to bring the best unique pieces of art and design. 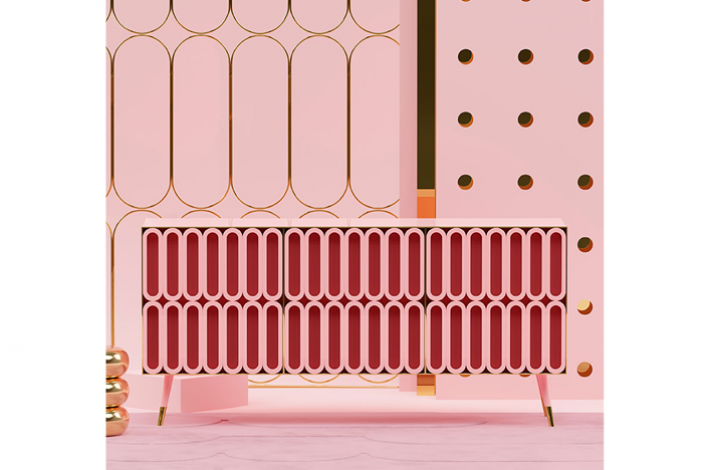 A horizontal piece with a marshmallow pattern involved in a strong structure of mixing shades, the matte, the gloss and the metals. 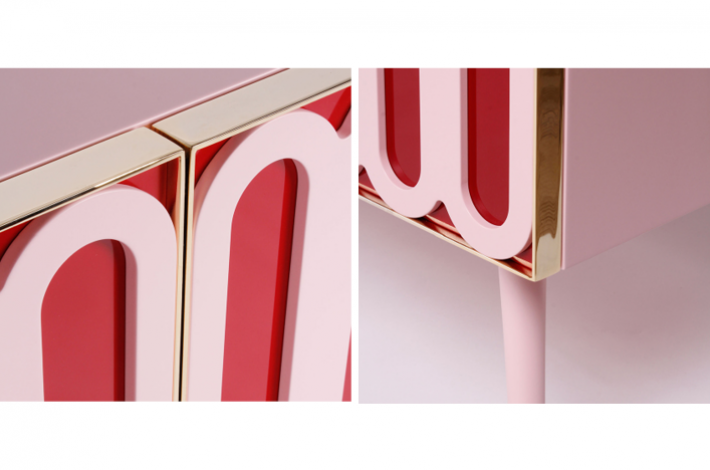 A pink matte body and a pink matte pattern over a glossy royal red surface, elevated by a brass presence. 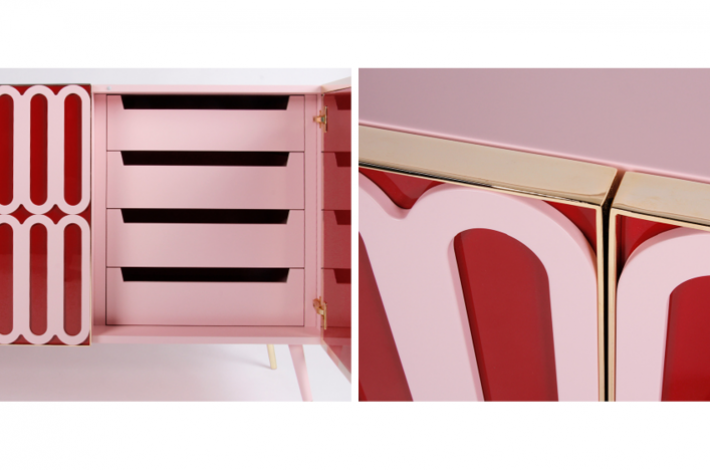 Find this amazing sideboard and more incredible furniture via the Royal Stranger website.